Deacon Henk Luyten, Ed.D. 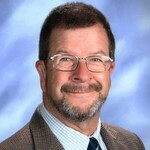 has been a teacher and administrator in the Catholic schools of the Vancouver Archdiocese for over 30 years. He is currently the Superintendent of Catholic Independent Schools Vancouver Archdiocese. Deacon Luyten also serves as the Assistant Director of the Permanent Diaconate Office of the Vancouver Archdiocese. He worked as a consultant for the Ministry of Education in provincial assessment. Deacon Henk’s interests include faith formation, the relationship between faith and science and the nature of change in individuals and institutions. An avid birder, Deacon Henk is married and has four children.